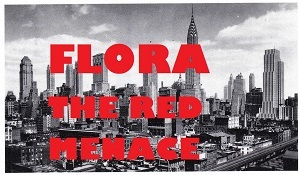 The Department of Theatre and Dance will be holding auditions for the musical comedy “Flora the Red Menace,” which will be performed in winter quarter Feb. 28 - March 2 and March 7-9. Open to all students, faculty and staff, all interested individuals should sign-up for a time slot and prepare a song or 32 bars of a song. Accompaniment will be provided. For complete details, visit the website.